Broomfield CO - Corporate Housing in Broomfield, Beautiful Fully Furnished Corporate Apartments in Broomfield Colorado. - Sublets & Temporary - Housing in Boulder CO, Rentals, Real Estate, Homes and More! Home>Rentals>Corporate Housing in Broomfield, Beautiful Fully Furnished Corporate Apartments in Broomfield Colorado. Corporate Housing in Broomfield, Beautiful Fully Furnished Corporate Apartments in Broomfield Colorado. Our fully furnished professionally managed corporate apartments are located in the Interlocken Business Park area of Broomfield, close the Flatirons Mall and Omni Interlocken Golf Course. Available for month-to-month or longer term rental. Just bring your suitcases and we take care of the rest! Our rates are typically much less than the hotels and include high speed interenet, cable television, local phone calls, and all utility bills. Enjoy spacious floorplans with full kitchen, seperate living and dining areas, fireplace, private patios, washer/dryer, and reserved parking garage with every unit. Completey "turn-key" furnished and tastefully decorated, all the housewares, linens, towels, cookware, dishes, electronics, everything included! Fitness Center, spa, and business center on site. Credit Cards Accepted, Corporate Accounts Welcome. E-mail us with your travel dates and we will respond with some options. Or feel free to call our local office at 720-838-2387. Thanks! 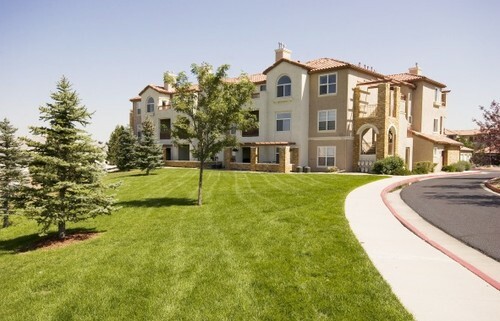 Broomfield Corporate Housing, Beautiful Furnished Corporate Apartments in Broomfield Colorado. Temporary Housing in Broomfield CO. Furnished Apartments in Broomfield CO. Corporate Rentals in Broomfield Colorado.